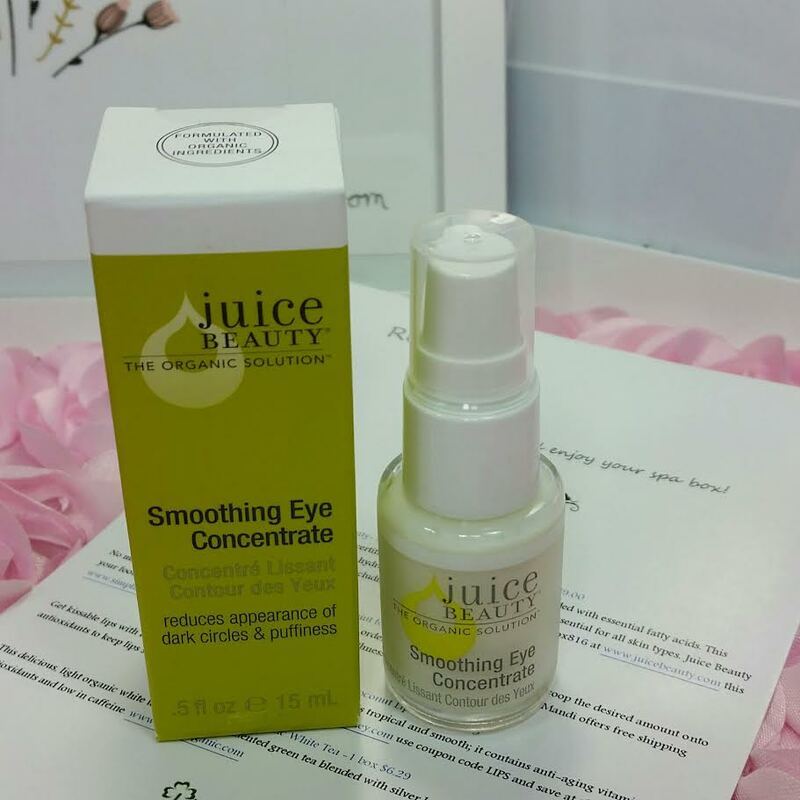 Juice Beauty Smoothing Eye Concentrate- I'm not really a fan of Juice Beauty because their whole "juice" thing is a little ridiculous. This is an oil based moisturizer (loooots of oils!) with some peptides which is nice. However, it's unlikely to get rid of your dark circles like it says it will and probably won't reduce puffiness either. What it will do is hydrate which is a good thing since it causes the skin to soak up the goodness and that makes your fine lines ease up. Yay! SimpliMandi Minty Peppermint Foot Scrub- If there's one thing I love, it's minty anything. Minty foot scrubs? Yaaaaaahhhs! Mint is my favorite invigorating scent. This scrub is natural and vegan and made with sugary goodness. Kiss My Honey Coconut Lip Balm- Okay, coconut is delicious, too! This brand has been in Kloverbox (and other boxes) before but not this flavor. Yum! 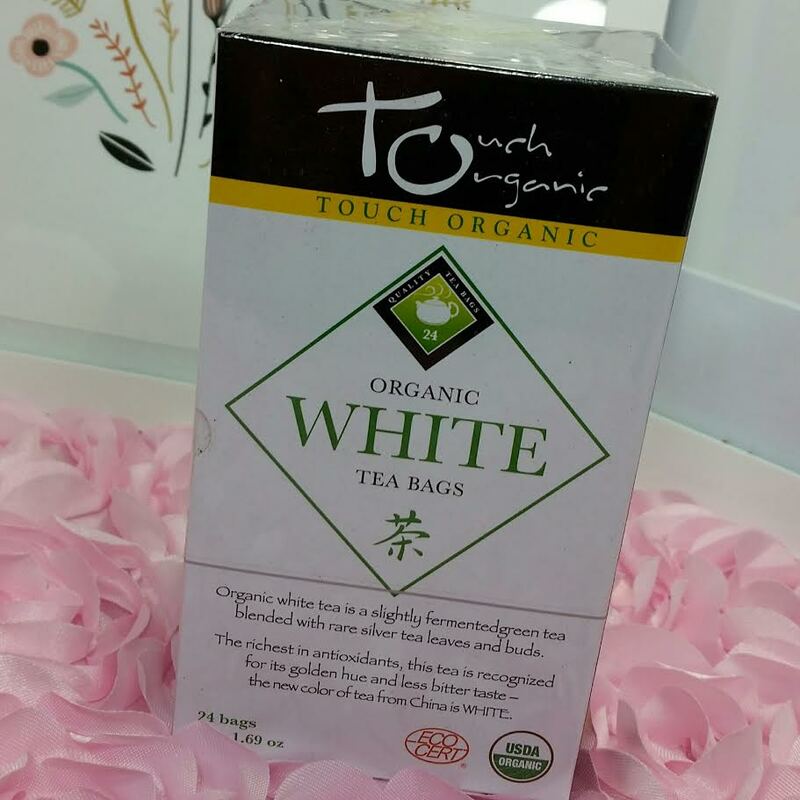 Touch Organic White Tea- White tea is actually green tea that's picked earlier during growth so it's not quite as strong as the leaves picked later in the maturation process. It's also lower in caffeine which is nice. 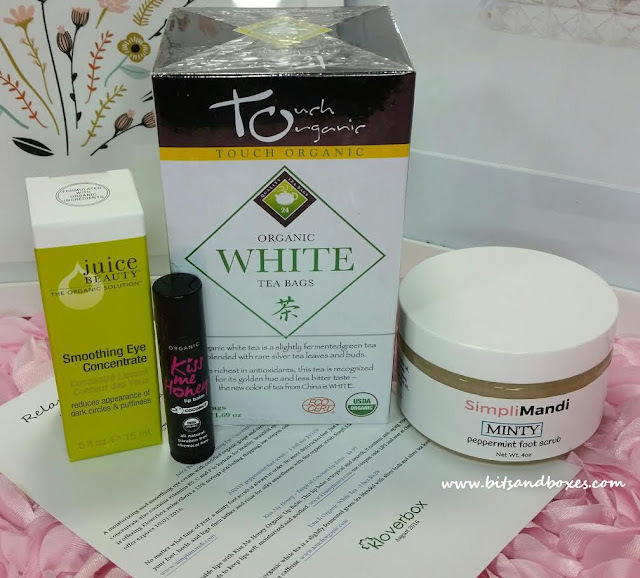 VERDICT: Overall I think Kloverbox is a well-priced box that delivers affordable products that are easy to incorporate into everyday life. 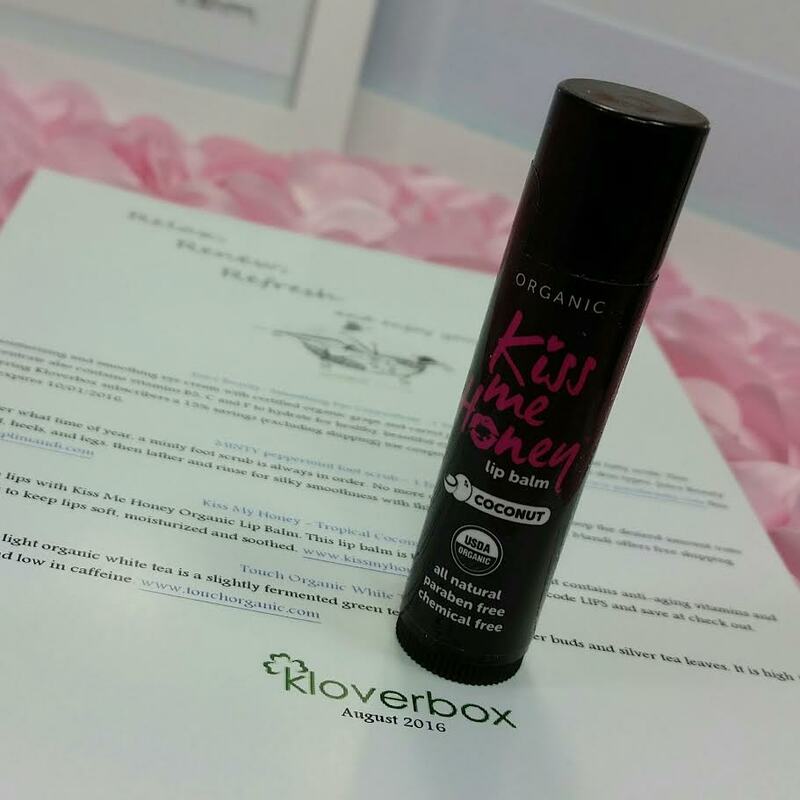 I can't tell you how many things I've found in Kloverbox that have become a part of my regular routine. And I'm just gonna do a shoutout for Buckaroo Organics Soapberry Suds Laundry Detergent. An all natural laundry detergent that works, gets rid of odors without an overpowering scent? Yes. All that. Gimme. Oh, but this box? It's got great retail value but I'm always more partial when there's less beauty not more. If this is the first box by the new team, I'm definitely interested to see what else they've got coming. These next few months should give a feel for what's to come.